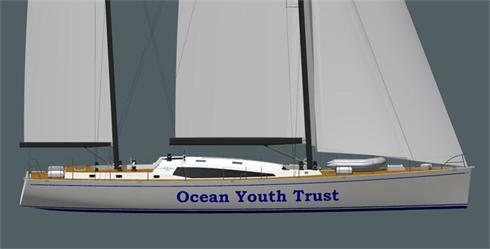 Ocean Youth Trust South is a charity which uses Adventure Under Sail as a personal development opportunity for young people aged 12-25. They sail with around 450 young people each year. Roughly two-thirds are disadvantaged or vulnerable in some way and they work in partnership with other organisations both to select these young people and also to ensure that lessons learned and achievements enjoyed on a voyage are carried through into a long-term program of work with each young person. Generations of young people have enjoyed Adventure Under Sail with the Ocean Youth Club and its successor the Ocean Youth Trust. The boats they have sailed have evolved over half a century. In every era the OYC and OYT have sought to provide vessels that are strong and seaworthy; capable of being sailed by young people of different ages and abilities; and suited to developing the life skills which are a core part of the OYC / OYT experience. Since 1970, the Club has commissioned a number of purpose-built sail training vessels, incorporating the best of each generation’s experience of sail training and yacht design. OYT South’s current vessel, John Laing, has been in continuous service for twenty years and is now due for replacement. It was time to think of the next generation. 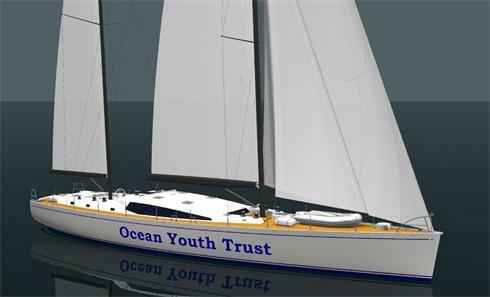 Owen Clarke Design were selected by OYT South to create a vessel specially designed to provide an outstanding sail training experience to young people over the next thirty years. Low maintenance: John Laing’s refits are an increasing burden on the charity’s time and money. A shorter refit means a longer season and more voyages for young people. Improved accommodation: meeting the needs of clients, giving the option to screen off a group leaders’ cabin – or to create privacy for crew members if required by future legislation. Larger navigation area: space for crew members to be around and involved in navigation. Better traffic flow: avoiding the congestion that currently occurs at watch changes. Detail from boom to light switch height have been designed with young crew members in mind. Better sailing performance, especially in light winds – more sailing, less motoring. Large, light saloon with a table which can seat the whole crew for meals, games and training sessions. Sail plan which allows three watches to be actively involved. Safe, strong and thoroughly reliable. The yacht is to be constructed to MCA Harmonised Code – Safety of Small Commercial Sailing Vessels and is intended for a maximum of 12 passengers (assumes teachers, carers etc. are allocated as sea staff) , and the vessel will meet Category 0, unlimited operating area. Hull and keel structure design will be to DNV or BV class, ISO 12215+. Watertight subdivision, intact and damaged stability to requirements of MGN 280 chapter 11. 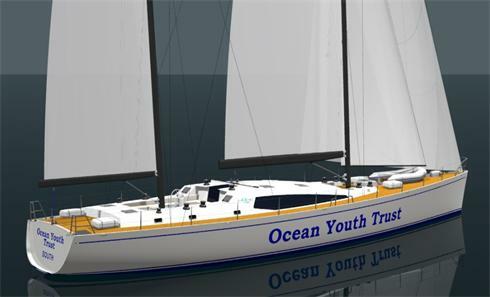 The preliminary design of the vessel has now been completed and the OYT have received responses to their bid package from a number of yards worldwide. They are now in the process of raising the funds for the construction of the vessel.